Value investing is the investing idea that you can buy a company that is “undervalued” relative to its true value. The reason that its stock is undervalued relative to its fundamentals could be market movements or other outside trends. However, you want to make sure that you avoid value traps, which could mean the company really was on the decline, and not just undervalued. Value investing was pioneered by Benjamin Graham and made famous by Warren Buffett, both of whom are some of the best investors of all time. Here are some of the fundamentals that they look at when evaluating companies, put together in a cheat sheet at the end for you. And if you want to learn how to screen for stocks, check out my video. 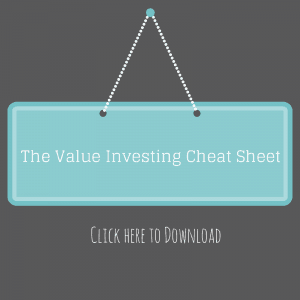 These are based from our post, Key Value Stock Fundamentals for Screening Stocks. The book value of a company is the value of its assets according to its balance sheet. This usually means the total value of its assets minus its intangible assets and liabilities, or essentially what you could sell the company off for in pieces. A value stock is a low price-to-book value, which compares its current market price to the book value. The P/E ratio is the ratio of a price per share to earnings per share. When looking at P/E ratio, it is important to look at trailing 12 months (TTM) versus future 12 months, because the trailing value uses actual earnings per share, while the future uses projected earnings per share. Value stocks traditionally have a good dividend yield, and they have paid the dividend consistently over time. This factor can be what differentiates a value stock from a value trap, since a company in trouble usually cuts its dividend payments. Finally, you want to look for a PEG (price-to-earnings to growth) ratio of less than 1. Using the PEG formula, it is assumed that a fairly valued company would have a PEG of 1, where an undervalued company would be less than 1, and an overvalued company would be more than 1. The last thing is intrinsic value. This means that the company has something to offer going forward. Intrinsic value is very hard to measure, but it is a very important metric. For example, a company that makes generic widgets could be hard to justify investing in unless it had specific intrinsic value: the lowest cost per widget by far, patented widget-making technology, or something else that makes it special. Otherwise, it could just be going out of business and that it why it looks like a value. 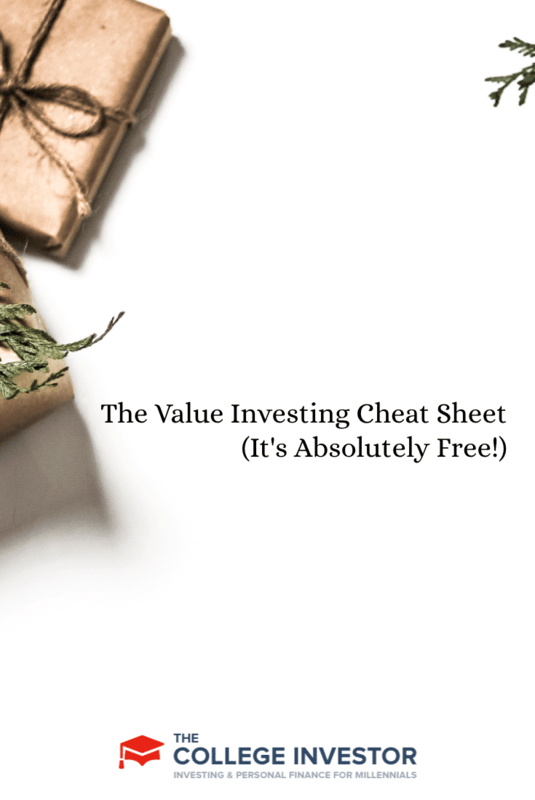 Click Here to Get the Value Investing Cheat Sheet for Free!